Existing acolytes of Ralf Scheepers' voice and Primal Fear should not miss out on this release. Armed with an intimidating stature and a set of pipes to match, Ralf Scheepers is credited with over a dozen recordings fronting bands by the likes of Tyran Pace, Gamma Ray and with his own creation, Primal Fear. To further that legacy, Mr. Scheepers has now made a triumphant stride in his illustrious career by releasing a solo album on Frontiers Records simply entitled, 'Scheepers.' The intensity exuded by Ralf on the cover photo perfectly depicts his performance throughout. Despite three years in the making, Ralf really gives 110% and not to be stricken with inferior production, 'Scheepers' is sonically on par with all of the best releases garnering the Frontiers logo. Existing fans need not question Ralf's approach on this album (as so many artists vary from their original direction upon releasing a solo album). He has maintained the steady course of providing an entertaining affair for his entire fanbase. The heavy hitting opener of 'Locked In The Dungeons' should dispel any notions that Ralf has released an album that digresses from past efforts. Having followed his entire career, I was immediately pleased to hear Ralf prominently exploit his upper range on a majority of the songs [which I felt was somewhat missing on '16.6 (Before The Devil Knows You're Dead)']. One of the most (and pleasantly) surprising tracks on this release is a duet with former Judas Priest frontman, Tim 'Ripper' Owens. 'Remission Of Sin' captures both parties in sublime form and could easily be mistaken for a song from the very illustrious J.P. canon. Although not sure if it would come as a surprise, selections such as 'Saints Of Rock' and 'Before The Dawn' evoke that very band's brand of metal as well. To further the comparison, Ralf performs an unlikely cover of Priest's, 'Before The Dawn.' Although not convinced it really works on this recording, Ralf performs all the instruments himself and I give him credit for covering such a deep track from their songbook. 'Dynasty,' however, represents one of the most diverse tracks on the album. Heavy, slow and brooding, this song stands to be the one which separates 'Scheepers' from his previous efforts with Primal Fear. The proceedings are completed with the gentle and all acoustic track 'Compassion.' Although some might call it a non-metal way to end a mostly aggressive record, I applaud the decision to use the song as its closer. The heartfelt lyrics represent some of the most emotional ever delivered by Ralf. Featuring timbres ranging from gravelly to soaring, 'Scheepers' represents a bit of everything people have come to identify with the singer and his musical approach. 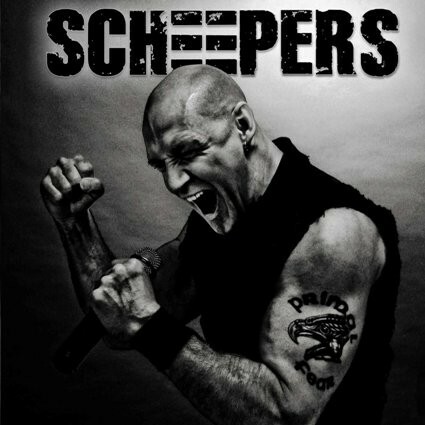 Furthermore, Ralf Scheepers remains one of the most powerful and consistent voices in metal since his entrance into the scene more than 25 years ago. Although I'm not convinced that this release will attract many new fans, existing acolytes of Ralf Scheepers' voice and Primal Fear should not miss out on this release.